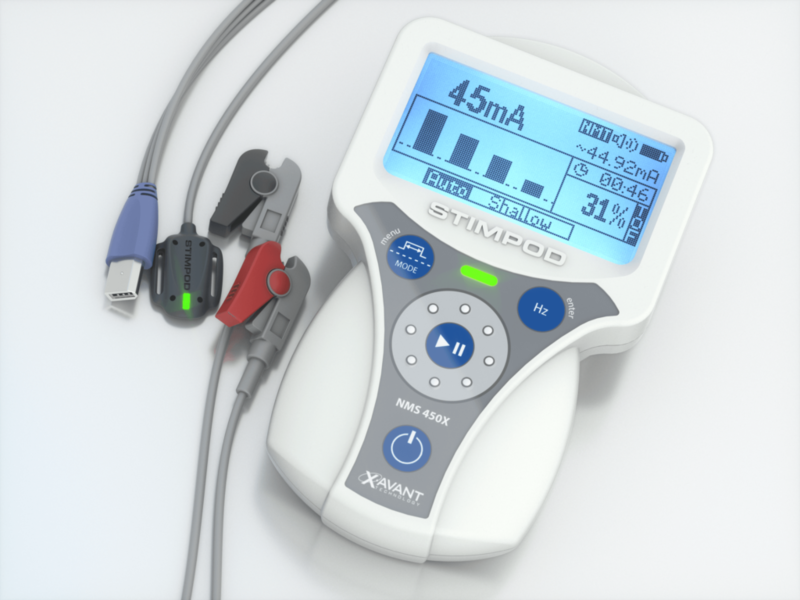 The Stimpod NMS450X features OneTouch NMT™ technology which enables the user to monitor an entire case from electrode placement to extubation at the press of a single button. 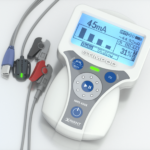 Once initiated, the Stimpod will automatically find the optimal electrode placement, assign the appropriate supramaximal current, begin Train of For Monitoring (TOF Monitoring) and move to Post Tetanic Count (PTC) when a deep/profound block is achieved. 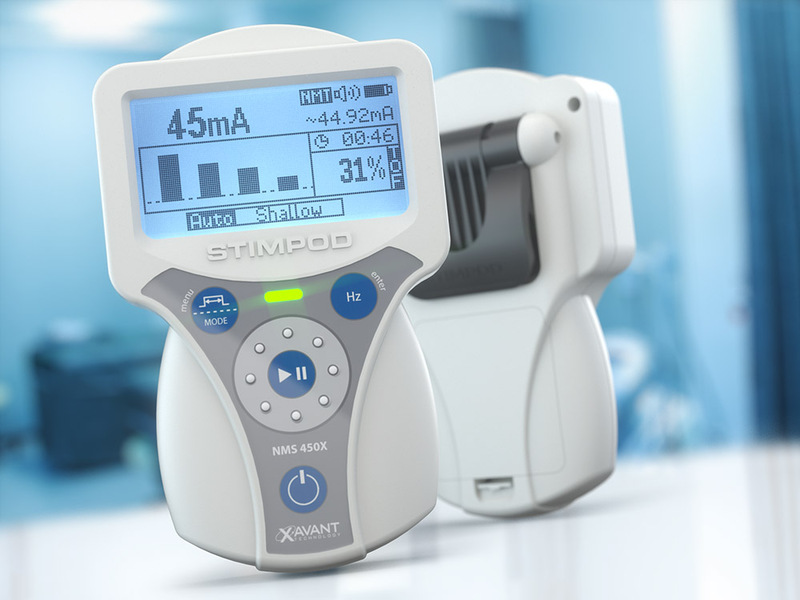 When the patient begins the reversal process, the Stimpod monitor will automatically reinitiate TOF monitoring until the patient is 90%+ recovered. No manual intervention is required to manage the process. 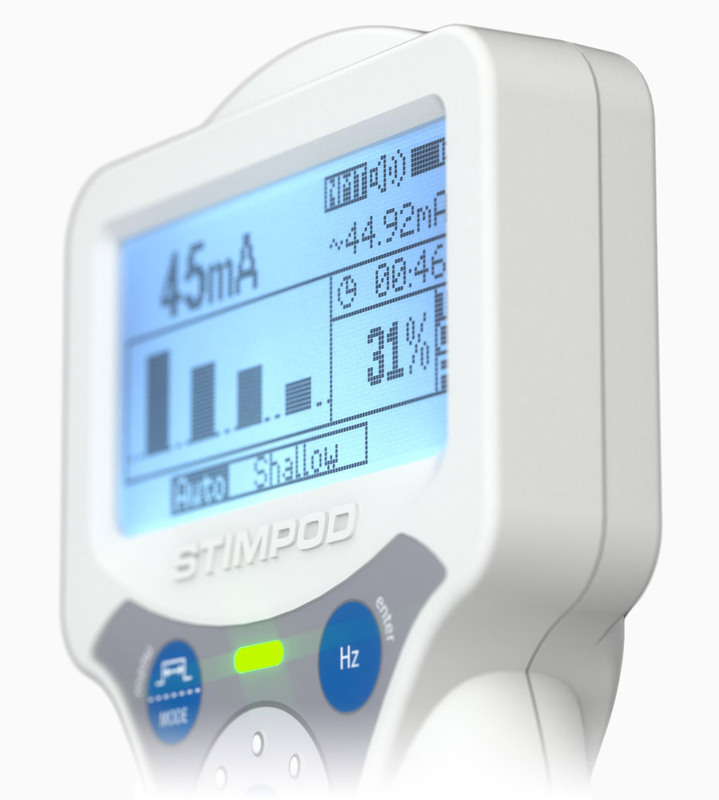 Along the way, the Stimpod will detect and notify the user of the depth of the neuromuscular blockade. 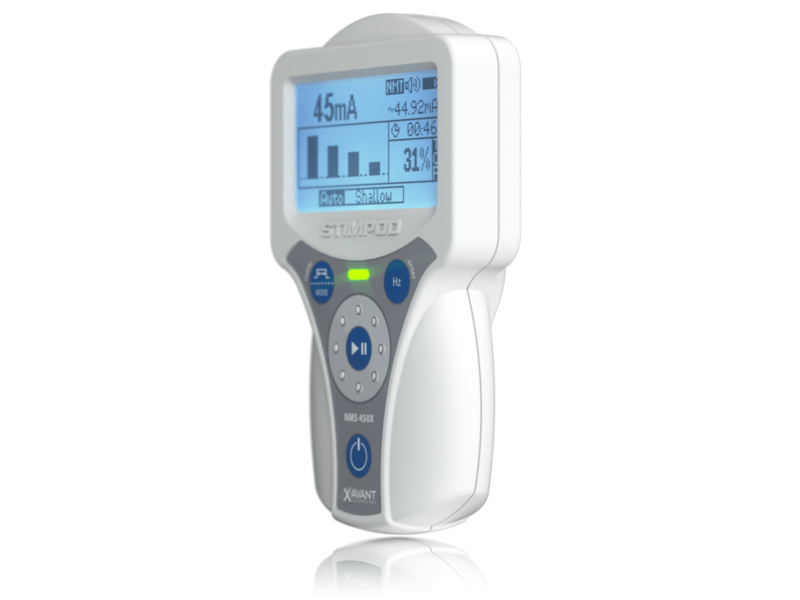 Supports Train-of-Four (TOF), Post-Tetanic-Count (PTC), Double Burst (DB), Tetanus and Twitch stimulation modes for accurate NeuroMuscular Transmission Monitoring. 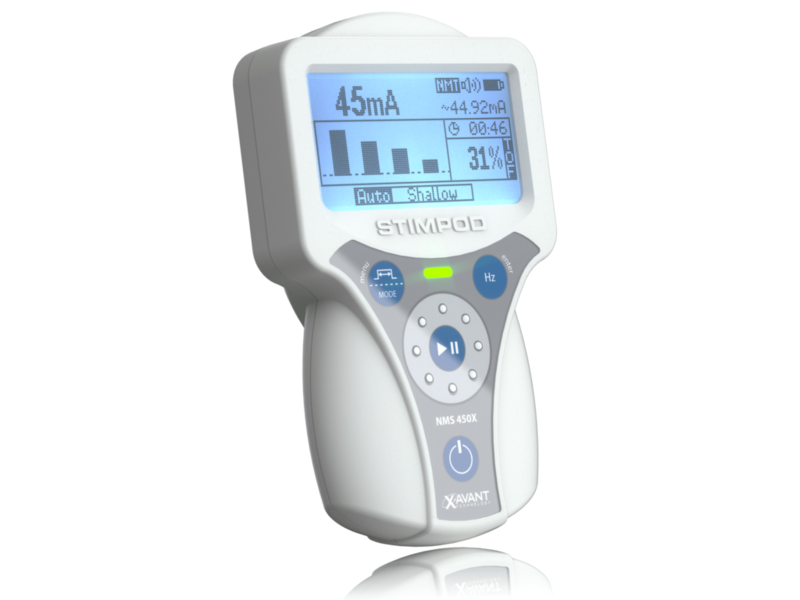 Verify effective electrode placement and optimal stimulation current. Transfer case data to electronic medical records with ease. 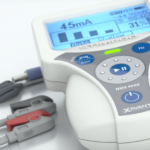 Patient can be monitored instantly and at any time during the procedure. Step-by-step prompts for proper setup and use. Reusable sensor design saves running costs compared to devices with disposable sensors. The 3D AMG sensor can be placed on the thumb, toe or face. 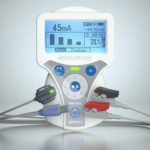 Compatible with off-the-shelf ECG electrodes, allowing hospitals the freedom to purchase or use any existing electrode. 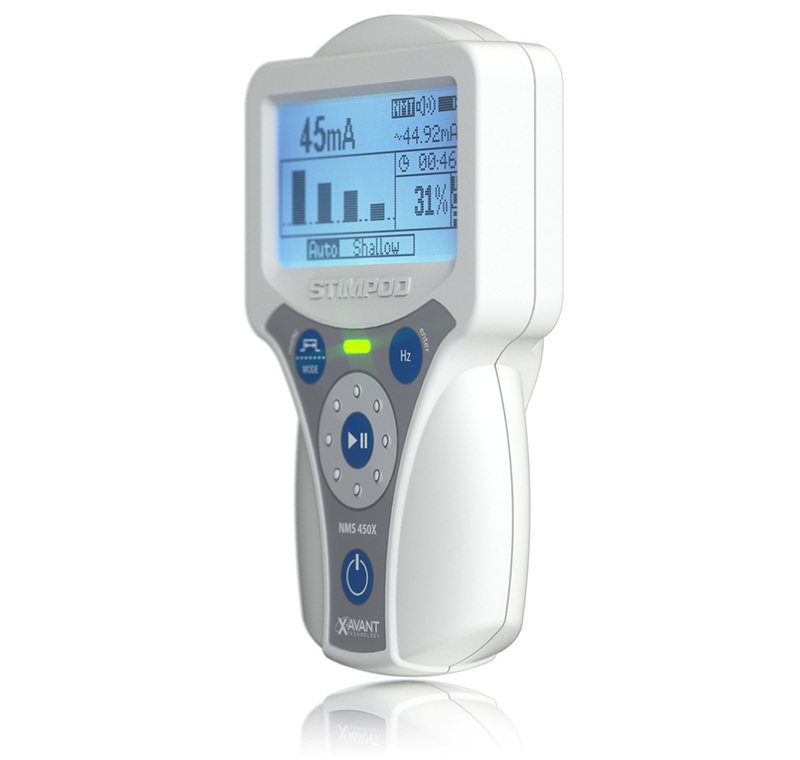 Includes combined mapping and location functionality for peripheral nerve blocks. 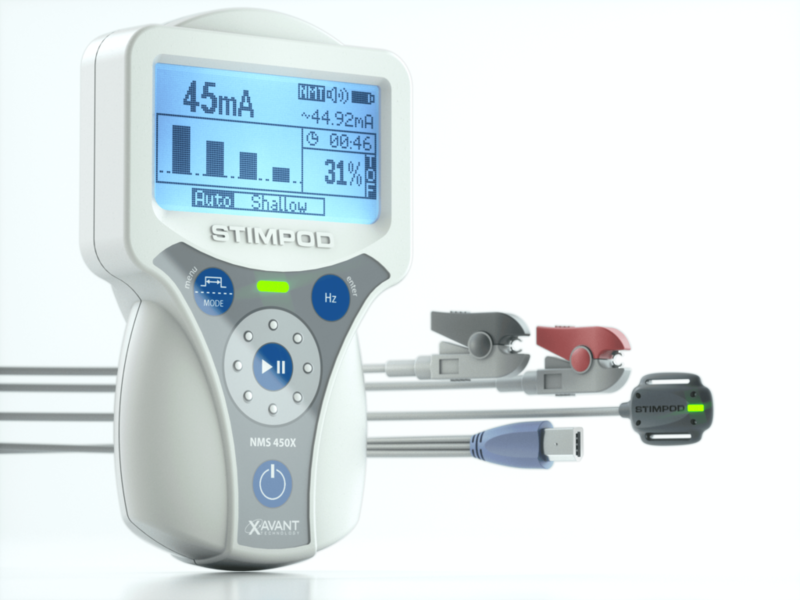 Handheld portability with a rapid quick-snap IV pole mountable design makes it easy to move between the OR, PACU and ICU. 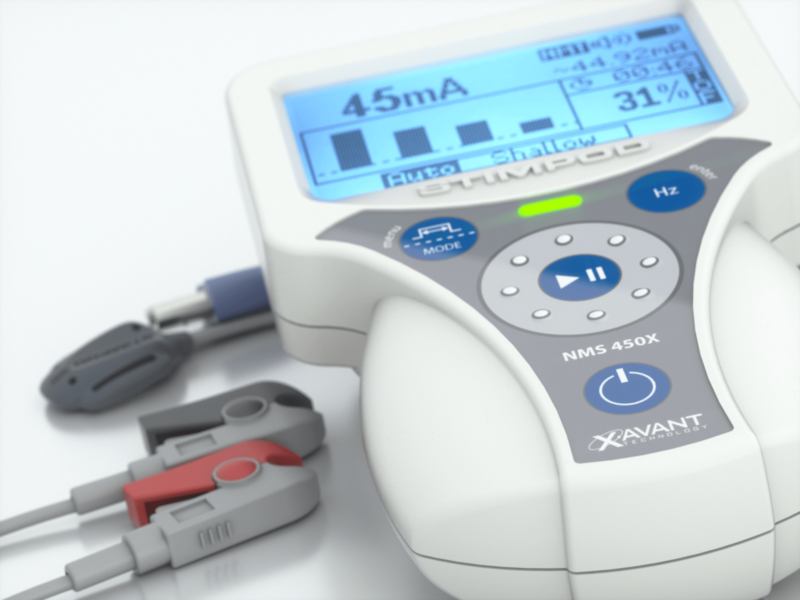 Learn more about the Stimpod NMS450X and NMS450 and how they are used in the operating room. 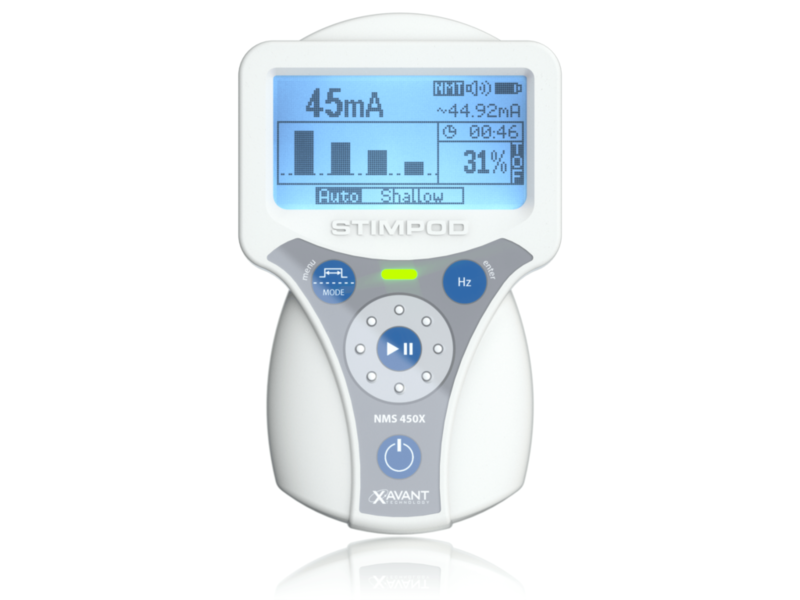 Note that some of the videos below feature the Stimpod NMS450, the predecessor of the NMS450X. Why should you monitor NMBAs (NeuroMuscular Blocking Agents) or NMT (NeuroMuscular Transmission)? Even moderate Post Operative Residual Curarization (PORC) decreases chemoreceptor sensitivity to hypoxia. PORC is associated with impairment of muscles of the upper pharynx and upper oesophagus leading to regurgitation and aspiration. Research shows that almost half of anesthesia-related deaths are directly or indirectly attributable to PORC. When should you use Train-of-Four (TOF), Double Burst (DB), Post-Tetanic Count (PTC), Twitch or Tetanus? 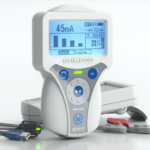 Which stimulation mode provides a reliable indication for recovery? 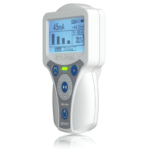 Train of Four (TOF) with quantitative monitoring (objective monitoring). What clinical indications of Post-Operative Residual Curarization (PORC) are detectable at which objectively-monitored TOF ratios? What clinical outcomes could be expected at which TOF ratios? What is attributed to cause the fading observed during Train of Four or Double Burst stimulation and monitoring? The reason for this is attributed to the binding of non-depolarizing neuromuscular blocking agents to presynaptic acetylcholine receptors, resulting in inhibition of the recruitment of Ach from the reserve pool. What makes Sugammadex more effective than other reversal agents? A minimum of spontaneous recovery does not need to be present before Sugammadex can be administered. Even the deepest neuromuscular blockade can be reversed rapidly within one to two minutes. 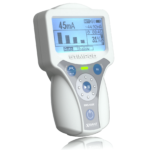 Fewer autonomic side effects are anticipated with Sugammadex. It could be because a depolarizing NMBA was injected. The Stimpod showed that the patient was fully recovered but the TOF ratio suddenly dropped again. Why does this happen? It could be that the core body temperature of the patient dropped again after recovery was observed. In order to prevent Post Operative Residual Curarization (PORC) patients should only be assessed for residual NMBA once their core has reached a temperature of greater than 36 °C. Why does the Stimpod show a TOF ratio of 0% while the patient still has good clinical signs of not being paralyzed? The location of the electrode could have moved or is not adhering the patient’s skin any more. It could be that the supramaximal stimulating current was not first established. It could be that the electrode dried out. It could be that the polarity of the electrodes was reversed. When monitoring the orbicularis oculi muscle during anesthesia the TOF ratio remains 100%. Why does this happen? 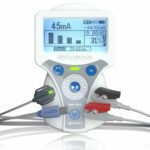 When facial muscles are stimulated there is a risk of direct muscle stimulation. Why do we see TOF ratios greater than 100%? When monitoring Train of Four prior and post NMBA administration, ratios of more 100% are often noticed and might go as high as 147%. The effect is ascribed to the mobilization of presynaptic acetylcholine in the Neuromuscular Junction (NMJ) after T1 promoting release in synaptic cleft during subsequent stimulations. 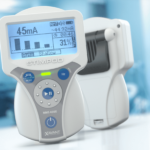 Both the Stimpod NMS450X and TOF-Watch SX (uncalibrated) show values greater than 100%. 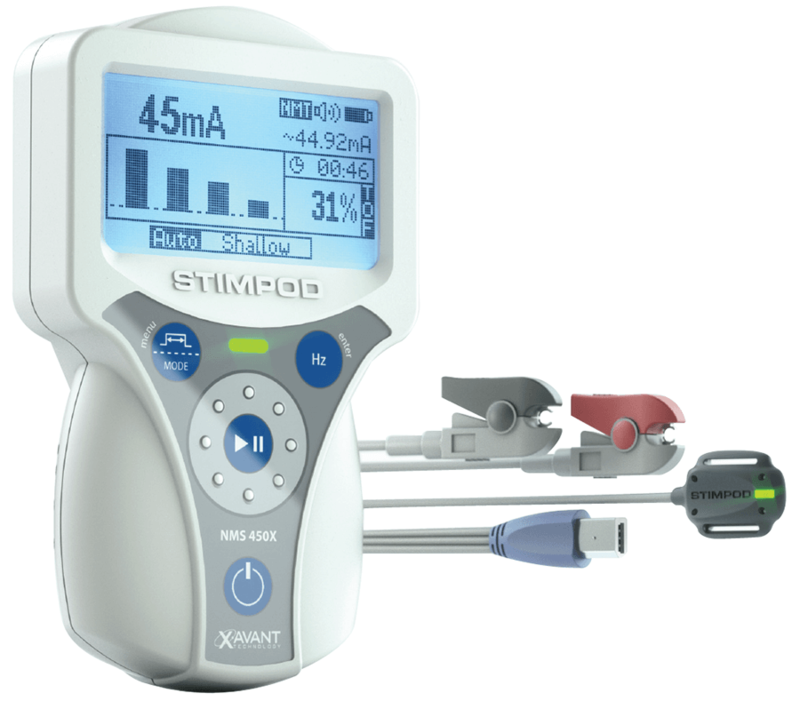 When comparing the readings of two Stimpods, one placed on each arm and set to 50mA, why do they show different TOF ratios? The cathodes (negative electrodes) could be placed at different distances from targeted nerves. 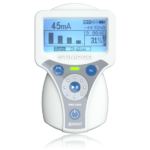 It could be that the supramaximal stimulating current was not first established for both stimulators independently. It could be that one or more electrodes dried out. It could be that the polarity of some electrodes was reversed. It is a known fact that stimulation of the ulnar nerves on one patient’s two arms would results in different TOF ratios if all other setup factors are significantly similar. Will a TOF ratio of greater than 90% reliably exclude Postoperative Residual Curarization? It remains unclear as to what acceleromyography TOF ratio is necessary to exclude clinically significant PORC. Glenn et al. found that postoperative residual curarization is reduced in patients monitored with acceleromyography TOF ratio greater than 90%. 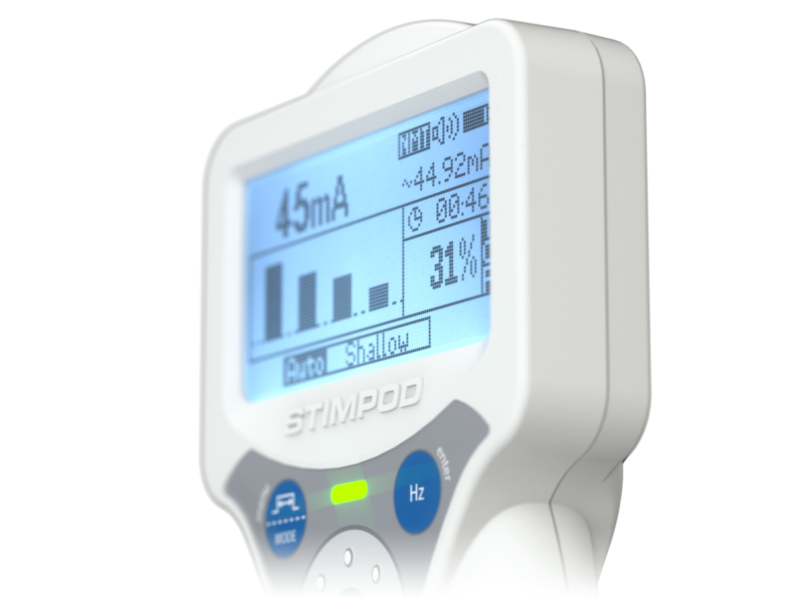 Why does the Stimpod NMS450 not require a preload device? In an attempt to increase the reliability of the TOF-Watch accelerometer a preload device was introduced. According to Claudius, Viby-Mogensen (2008), there is insufficient evidence to confirm or deny that the application of a preload will increase the precision of acceleromyography. The preload device attempts to restrict the movement of the thumb to one dimension. With a three dimensional accelerometer, this is not necessary. TOF-Watch and TOF-Watch S will calculate and display T2/T4 and if this value exceeds 100% it would simply limit the display to 100%. TOF-Watch SX has a well-implemented normalization procedure but it takes 20 minutes to perform. Xavant is currently researching a practical way for implementing a normalization algorithm. Why did the Stimpod switched off during surgery? 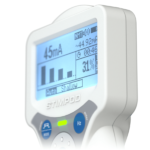 The Stimpod has an automated switch off function which is activated if the device has not been in use for more than 10 minutes. 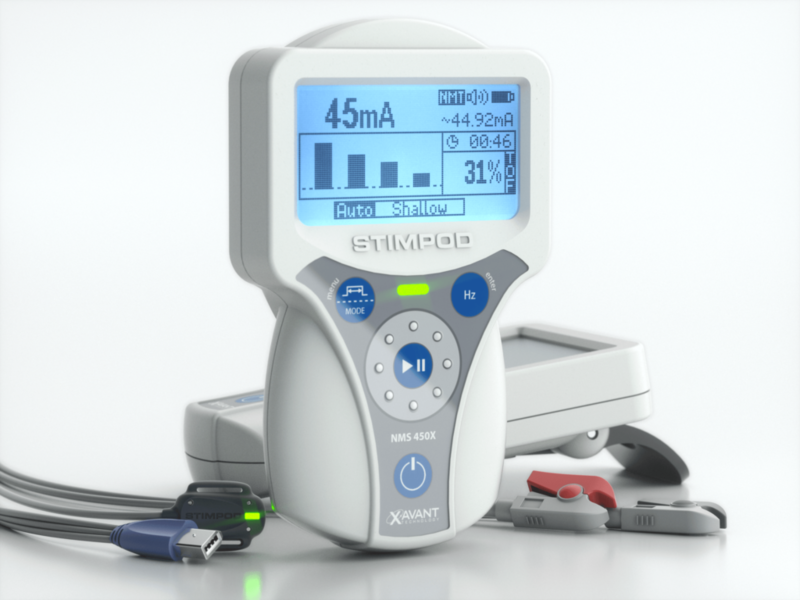 Why does the Stimpod display “Open Circuit Detected” while the ECG clips are connected? It could be that the electrodes have dried out to the extent that they are no longer conducting and are causing an open circuit. There could be a problem with the cable. There could be a problem with the device. Why does the Stimpod display “Insert Cable” while the cable is inserted? There could be a problem with the Stimpod. Why does the Stimpod display “No Accel”? The Stimpod is in ‘TWI’ mode. In this mode, the device does not communicate with the accelerometer. The Stimpod is in ‘TET’ mode. In this mode, the device does not communicate with the accelerometer. There could be a momentary interference that interrupted communication between the accelerometer and Stimpod. There could be a problem with the accelerometer cable. Is the Stimpod immune to cauterization? No. In order for Stimpod to receive its certification, it has to pass certain tests to prove its immunity to electromagnetic interference (EMI) and electrostatic discharge (ESD). All versions of Stimpod have passed these criteria. 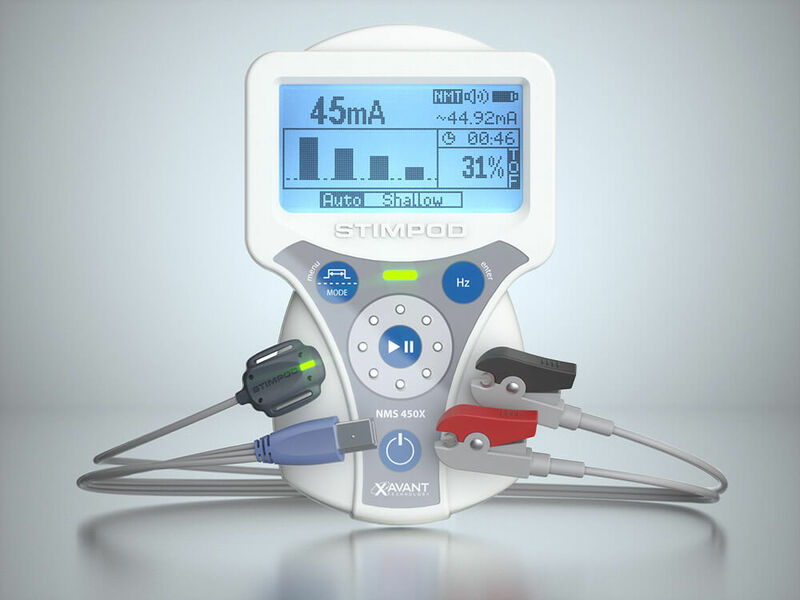 The latest version of Stimpod has proven its immunity to cauterization in the OR under general conditions, however, extreme intensities of cauterization could still impact the accuracy and functioning of the Stimpod. 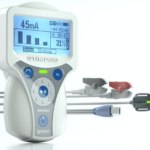 All devices in the OR are generally affected by extreme intensities of cauterization. 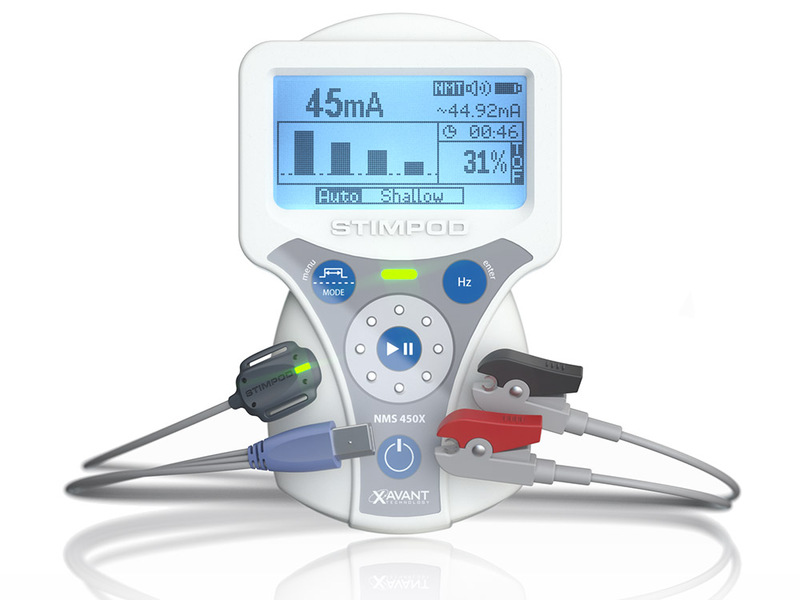 The Stimpod NMS450X is available around the world through our distribution partners network. Find a distributor close to you or complete the form and we will send you a full quotation.